Crosman Semi-Automatic CO2 Powered BB Pistol - Metal Alloy Barrel, Hardwood Stock, 18-Round Magazine, Rear And Front Sights | BUDK.com - Knives & Swords At The Lowest Prices! 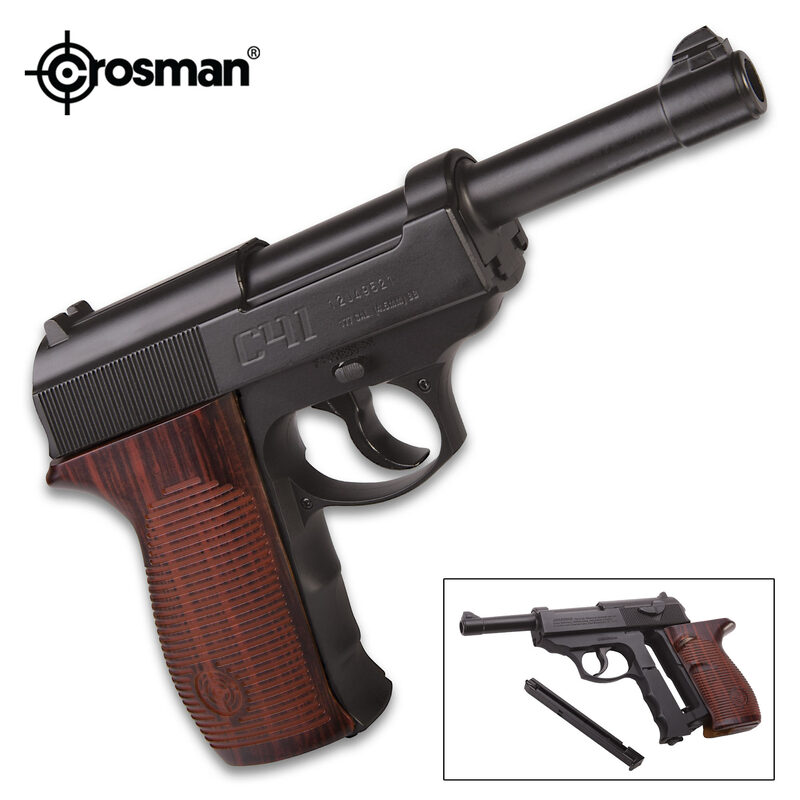 The Crosman Semi-Automatic CO2 Powered BB Pistol features a metal alloy construction that gives it a very realistic weight and feel in your hand. 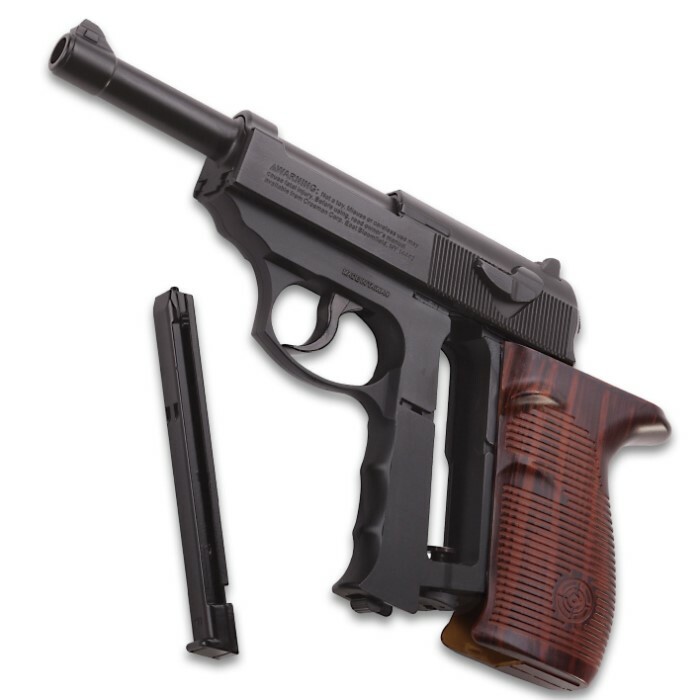 A medium framed pistol, it has ambidextrous checkered grips and is modeled after some of the famous German pistols of WWII. 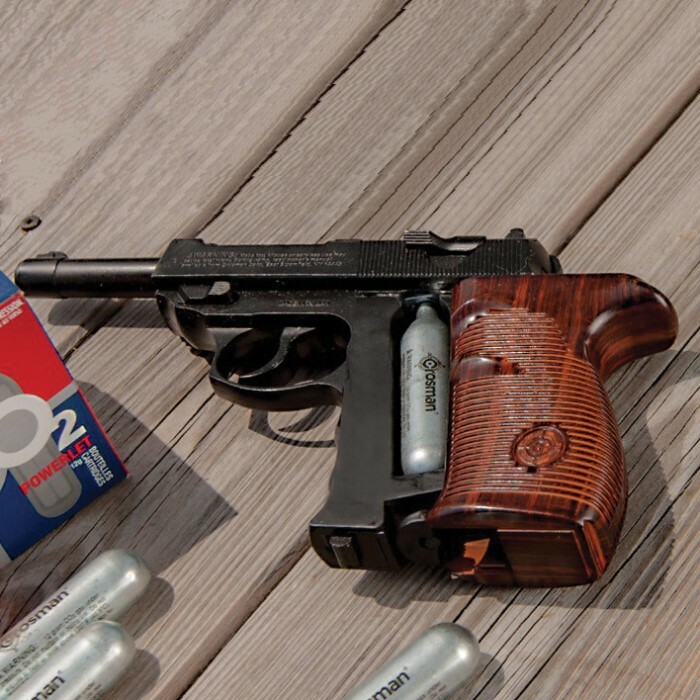 Powered by a Powerlet 12g CO2 cartridge, with muzzle velocities up to 495 fps, the BB pistol has an 18-round spring-fed magazine that ensures accurate BB feeding with every shot. An easy slide grip guarantees quick CO2 replacement resulting in less downtime and more time on the range. 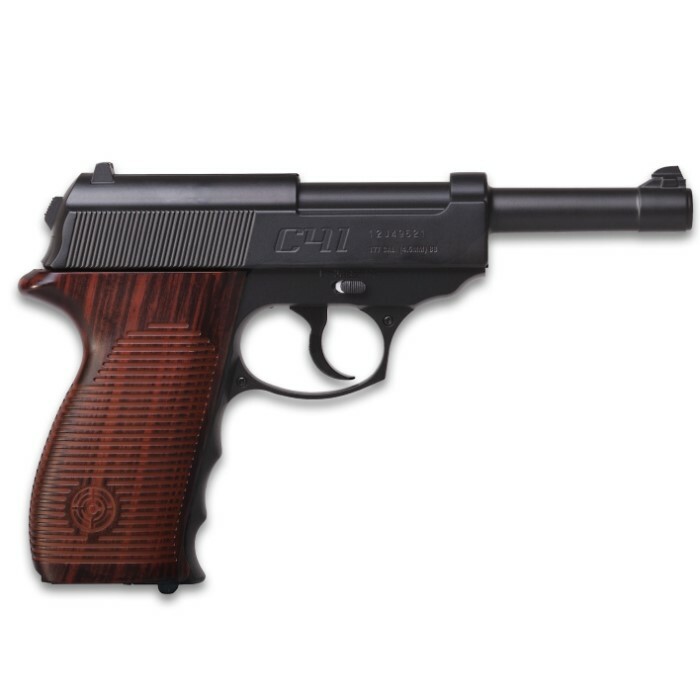 Rear notch and front blade sights ensure accurate shots every time.